Installed some time prior to Jul 31, 2007. Latest update 29 Nov 2015. Changes and additions are in bold. The attacks on Rudbeck by many of his contemporaries (They were pushing a more tame Swedish history, based on more recent writings.) would have been enough to drive most men mad, but I see no fault with his thesis, and so far, no contradiction with what is known of Swedish ancient history and Baltic geography. Thanks to Geneva Borod for calling David King's book to my attention. 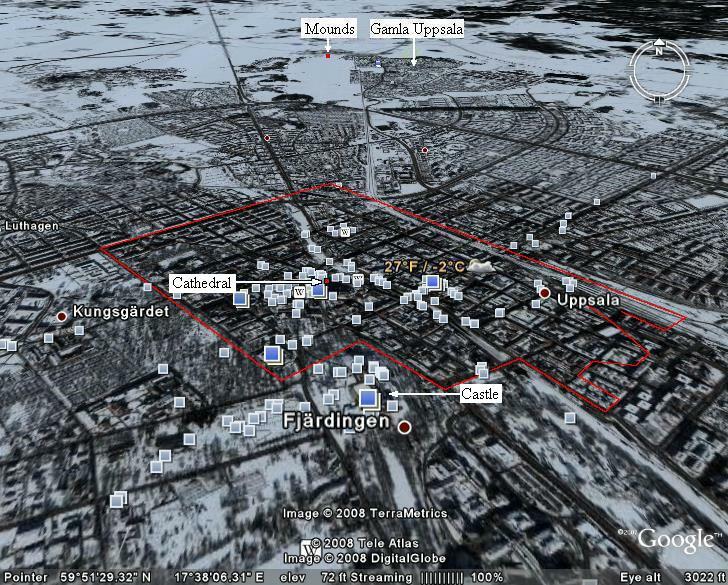 Rudbeck found extremely tall (giant-like) human bodies in burial mounds at Old Uppsala, which he had become convinced was the capital of Atlantis. Today the mounds are about one half the height as those shown in the image below. 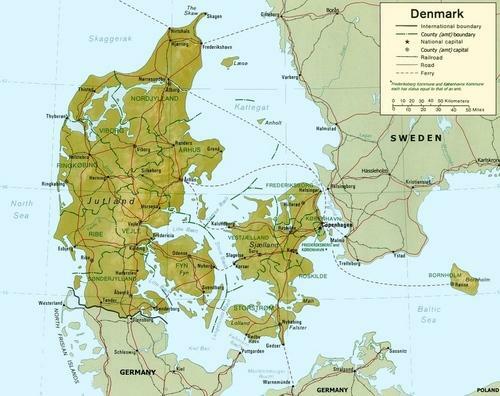 It would be of interest to find out if the Straits of Denmark were ever made non-navigable by mud, say back around 1500 B.C.E. If so, are there any historical records to the effect that the rivers and precipitation which feed the Baltic sea broke through the hypothetical mud flats? In Atlantica, Rudbeck expressed the idea that the ancient Swedes (A.K.A. Atlanteans) held sway over most of what is now Europe and the countries bounding the Mediterranean sea. He even suggested that the Greek and Hebrew alphabets were derivations from that of the Atlanteans. (3) And the Philistines stood on a mountain on the one side, and Israel stood on a mountain on the other side: and there was a valley between them. Here, I have underlined the word Gath to suggest a possible relation to the Swedish island province of Gotland, which some hold to be the original home of the Goths. Goliath was known as a giant. His described height equates to his being ten feet tall. He was not, however, a unique freak of nature. He was apparently a member of a race of giants living in Caanan. (1) Rudbeck, Olof, Atlantica, University of Uppsala (1679 with additional volumes thru 1700), (In Latin and Old Swedish). (2) King, David, Finding Atlantis: A True Story of Genius, Madness, and an Extraordinary Quest for a Lost World, Harmony Books, New York, (2005) ISBN 1-4000-4752-8, Page 5. (3) Gold, Thomas, Deep Hot Biosphere, Springer, (1998).